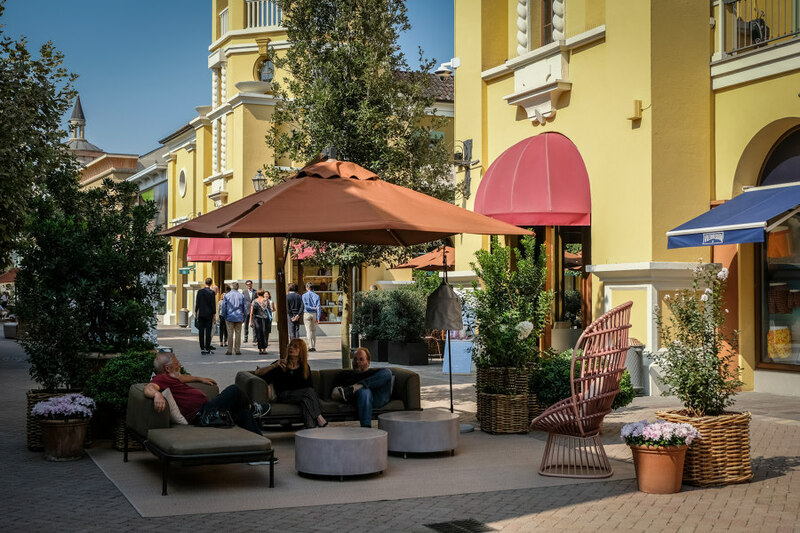 Fidenza (PR), Italy, November 2018 | Fidenza (PR), Italy | Fidenza Village - the first Italian luxury shopping outlet - on the occasion of its fifteenth anniversary, revolutionizes the visitors’ experience with a new landscape design project, which creates a renewed relationship between people and outdoor spaces. 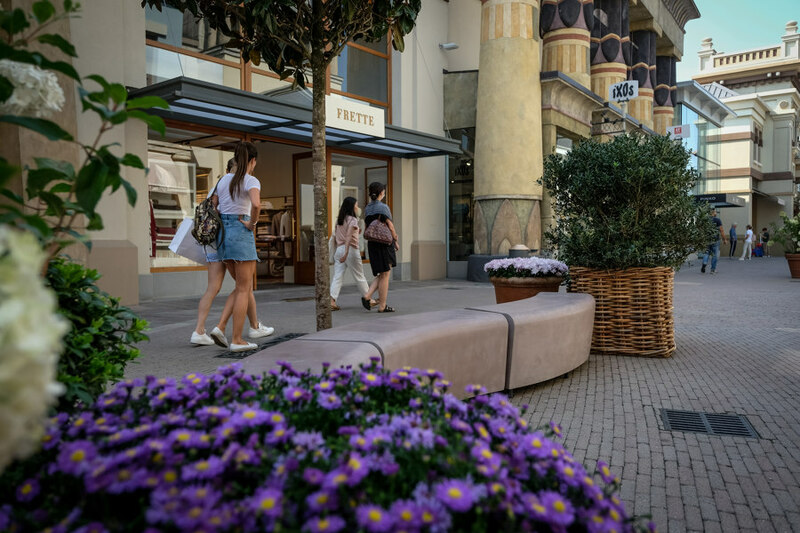 The Milan based studio Vudafieri-Saverino Partners has redesigned the iconic Mainstreet: a 600 metre promenade around which are spread out the 120 boutiques and restaurants of the famous shopping village. 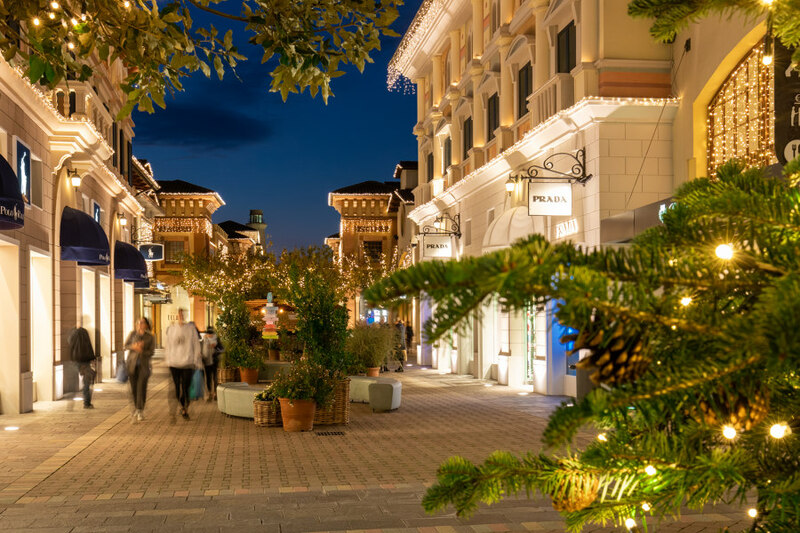 A fashion destination less than one hour from Milan, which boasts boutiques, restaurants, shows and entertainment over a 21,000 sqm commercial surface. 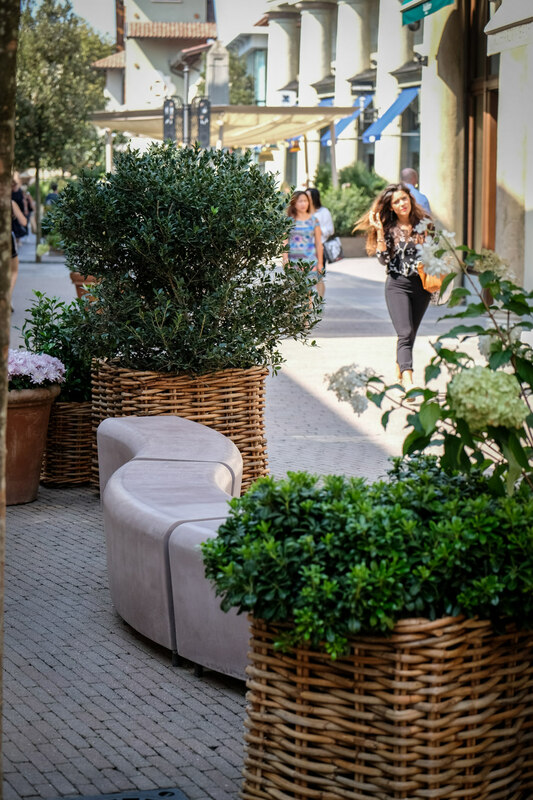 Taking inspiration from the “Village’s” unusual layout - which resembles the boot-shape of Italy - the new architectural concept of space has been split into three stages, which recalls the typical vegetation and colours of the North, the Centre and the South of Italy. 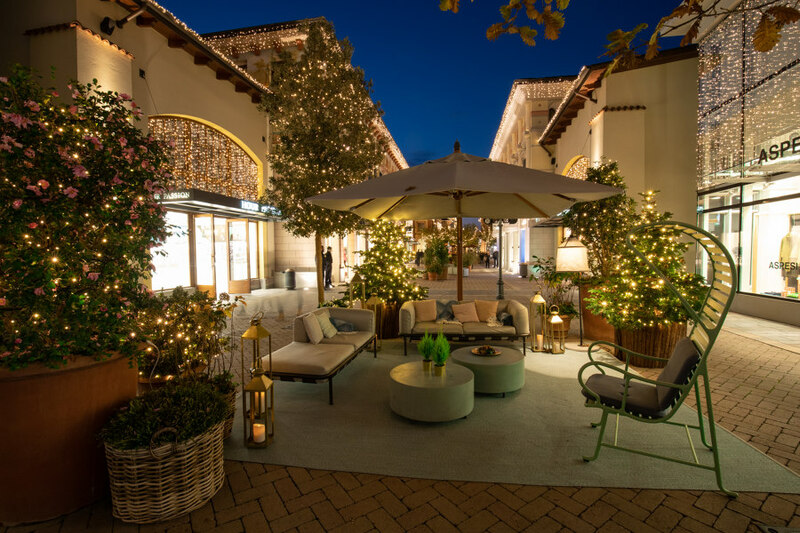 Luxuriant tree and plant installations, visual and colour nuances, perfumes and materials have so transformed a pedestrian area into an “experiential” space with a strong identity. 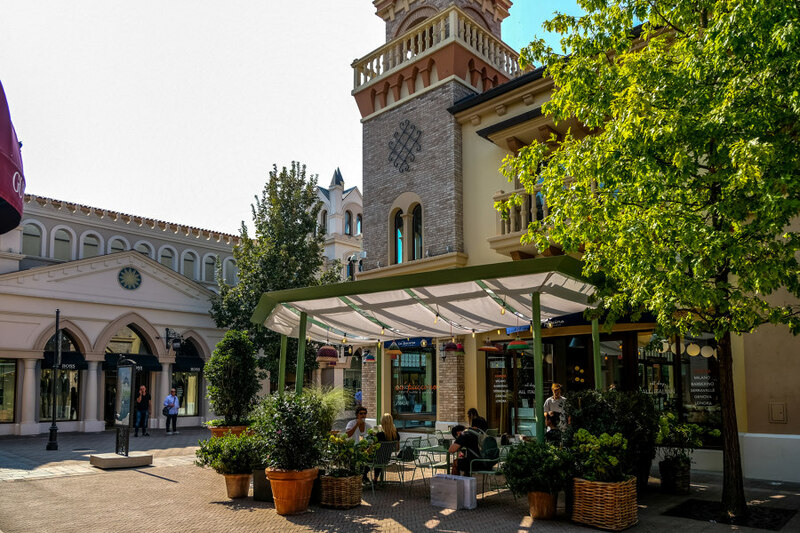 Tiziano Vudafieri and Claudio Saverino aimed to recreate the “Viaggio in Italia” atmosphere, the dream of generations of foreign visitors. 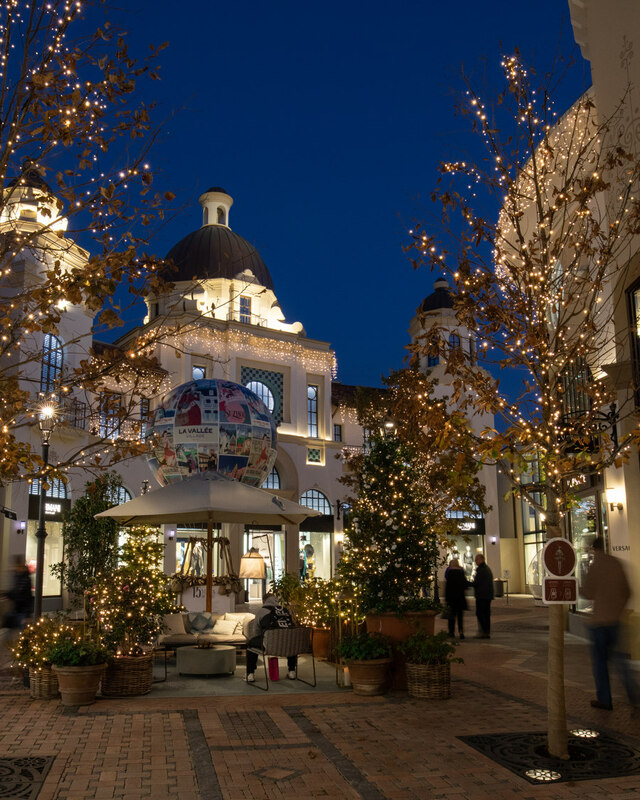 The journey starts out from the North of Italy, represented by the cold colours, such as olive green, with camellias and azaleas recalling the vegetation of the famous villas on the Italian lakes. 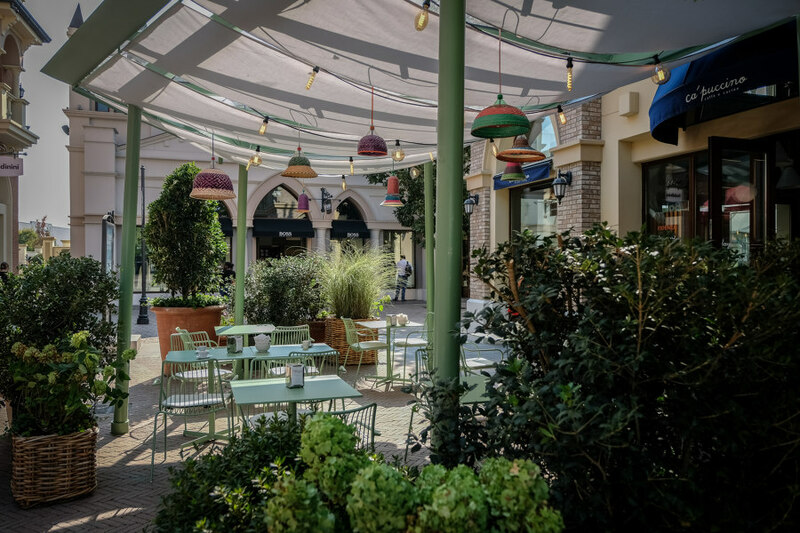 Moving on to the Centre with an “earthenware-pink” colour scheme, where the arbutus and osmanthus plants recall the vegetation on the Tyrrhenian coast. Finally, the South with the sandstone colours recalling Mediterranean buildings and the dwarf palms and cycas, which recreate the vegetation on the Islands. 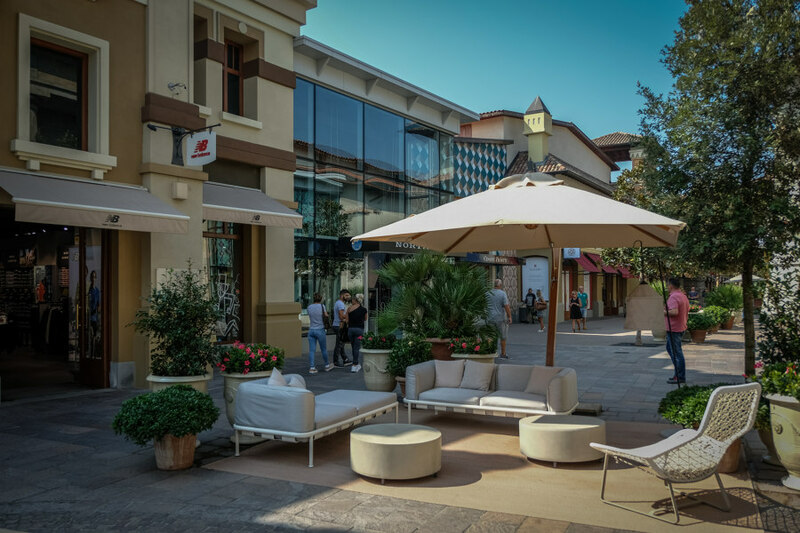 The project reorganizes the external spaces, inspired by the concept of squares as a cornerstone of Italian social life. 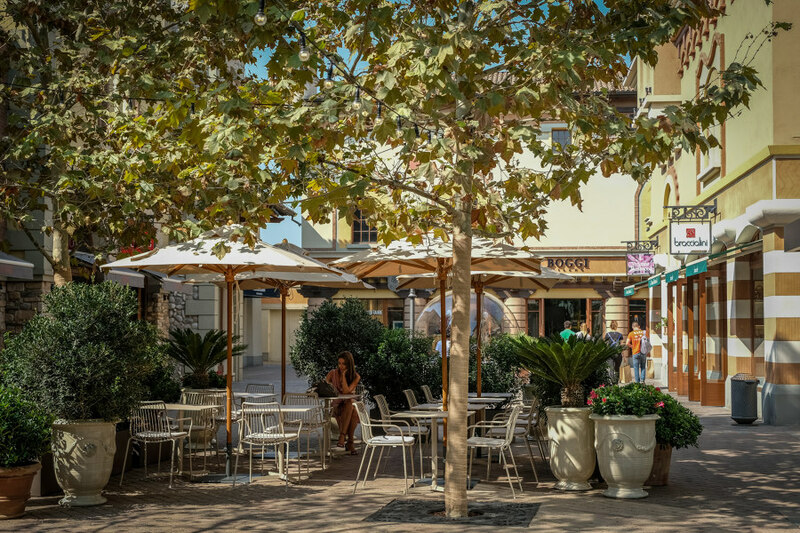 Hence, the Village’s restaurants and cafès open out onto gazebos and terraces. 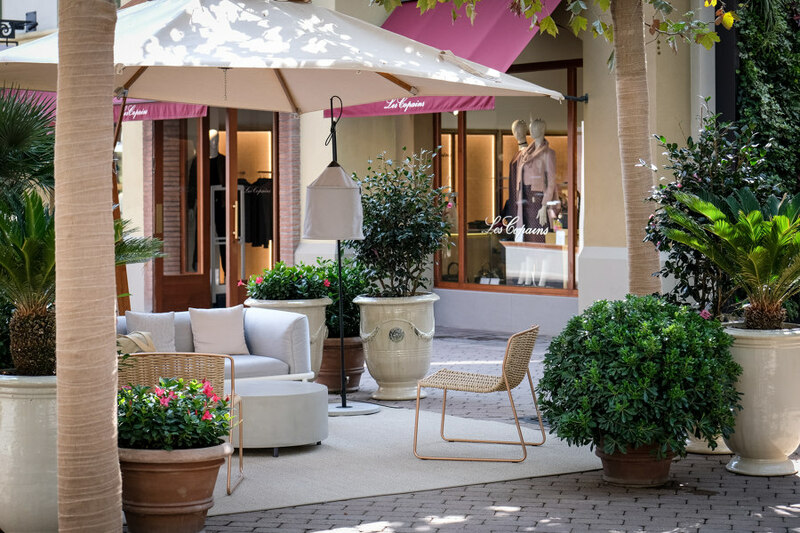 Vudafieri-Saverino Partners project intends to redefine the luxury shopping experience, introducing a new model in the relationship between internal and external space and in the quality of urban furnishing. 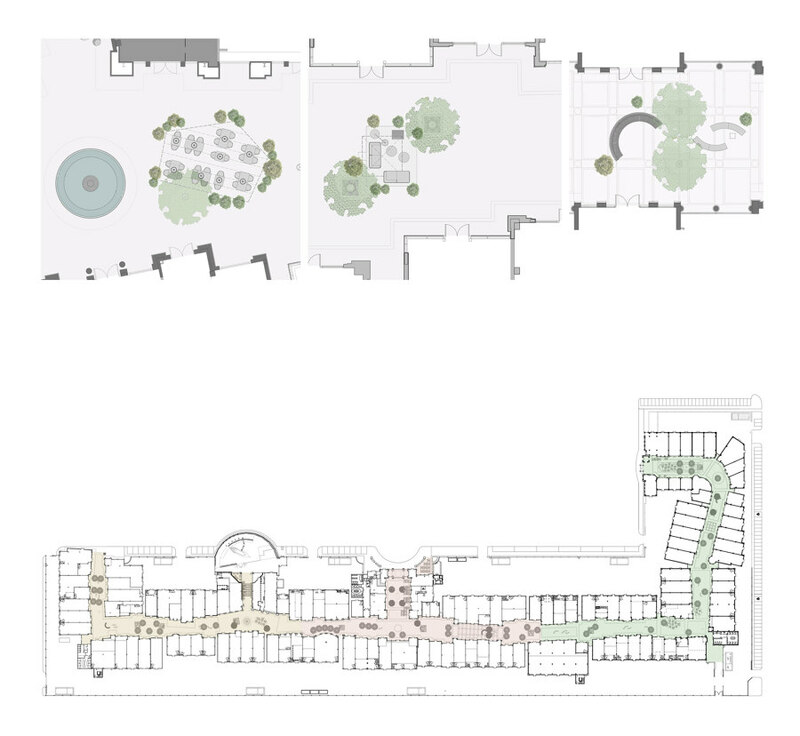 The project focuses on a renewed harmony between free time and social relations, where people are not only considered as buyers, but as interpreters of complex needs: aesthetic, functional and relational. 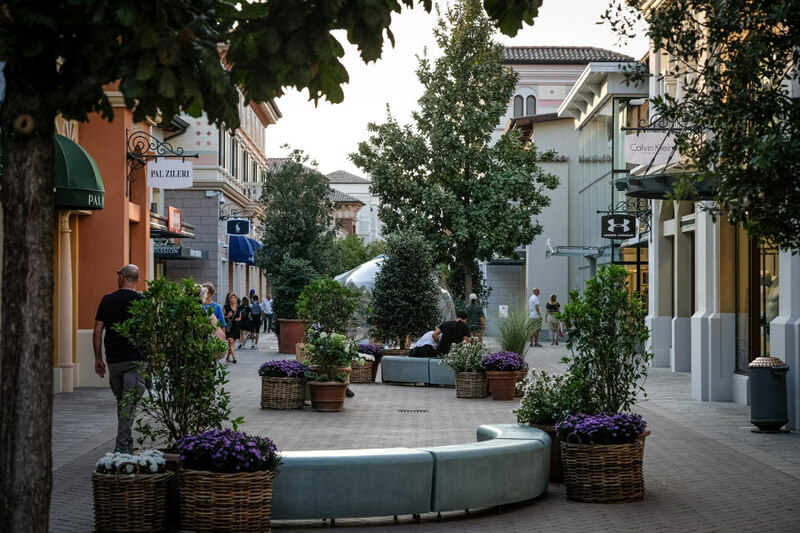 Vudafieri-Saverino Partners has strived to design an authentic relationship between people and green areas: no longer conceived as a mere scenery solution but as an authentic experience of nature. Every detail, from the shelters to the vegetation, from the colour schemes to the mix of materials has been studied to recall the landscape and views of the Bel Paese.